Jenny turned 40 in Oct. 2018. This is what she looked like on her first full day of being 40. We don’t post often anymore. Not that cancer isn’t a part of weekly thoughts or conversation. It’s just that cancer is not the center of our schedule like is was at the end of 2012, much of 2013 and parts of 2014. But I posted about the ovary last June. I suppose the ovary is not directly related to her breast-cancer diagnosis from 2012, but Jenny’s body is complicated and definitely compromised since that day. Every decision — from the non-oophorectomy in 2014 to the hysterectomy in late 2016 to the scope in 2018 — is related to the original diagnosis in 2012. It’s been a long road. I didn’t get a photo of Jenny waiting for surgery today like I normally do. But this is how she looked … just like she looked on April 13 at the Tenaciously Teal fund-raiser. She looked graceful and strong, like always. 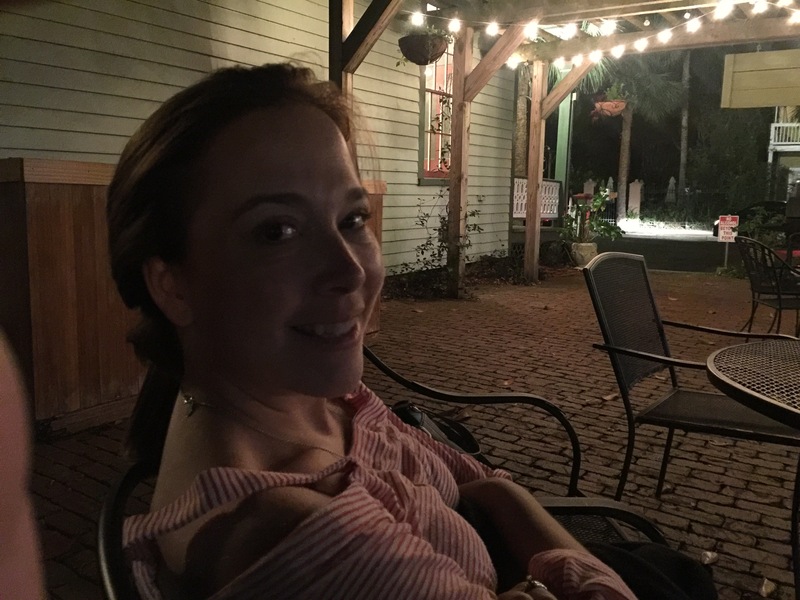 Jenny posted this weekend about the ovary and the cyst and the pain and the scope. So here we are at OU Medical Center early on Monday morning to find out what’s going on. As Jenny wrote, we are praying for a good outcome in this scope — whatever that means today. There are varying degrees of good outcomes in this case. It means no cancer. It means keeping the ovary. It means finding the source of the pain she’s been dealing with every few months for the last 8 months. Most of all, it means no cancer. Any other outcome would be just another thing for Jenny to deal with. I last posted a little over a year ago about what it feels like to be on the the “other side” of cancer. Jenny is always beautiful. But she, along with 12 other women, shined especially bright on April 28. 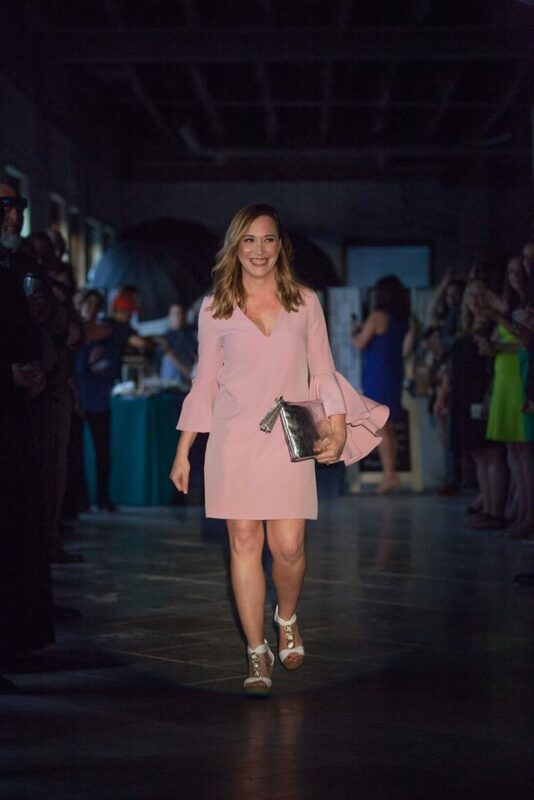 Jenny participated in a fund-raising fashion show event for Tenaciously Teal — Carepacks and Cocktails. It was an outstanding event, and we were blessed to be joined by family and friends there to support one of the stars. Jenny doesn’t like the spotlight, so she was uncomfortable with all the attention, but I think she had fun (see the professional photo — please click to enlarge that photo!). I waited as patiently as possible all week for the pathology to come in. By the end of the week, my patience had faded and my worry had fired up. On Thursday, I spent a long time researching whether benign tumors/cysts were ever smooth. Dr. Wayman described mine as smooth (unlike cancer), but was it impossible that it was cancer?